Both my book, THE PRINCESS AND THE PAGE, and I will be traveling around the world! If you live in one of the cities below, it would be amazing to meet you in person and talk. If you can’t come, you can visit the blogs below and enter to win a $25 gift card! Welcome to a world where magic spills from the tip of a pen! 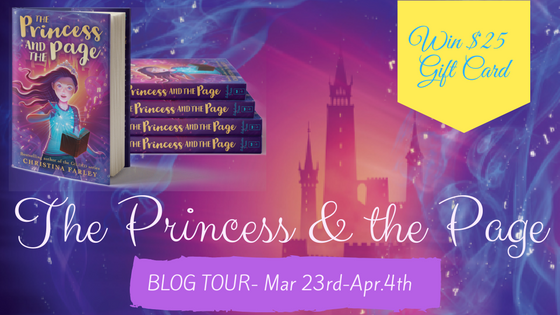 Follow this blog tour of THE PRINCESS AND THE PAGE and enter the $25 gift card giveaway at each of these stops!